**FREE CARFAX AT GENTRYMOTOR.COM**, ***ANOTHER GENTRY 1-OWNER VEHICLE***, ***BLUETOOTH HANDS FREE MOBILE***, ***FULLY INSPECTED AND SERVICED***, ***LEATHER SEATING***, **JUST OFF WELL MAINTAINED LEASE 1 OWNER, **ACCIDENT FREE CARFAX REPORT**, **SUPER LOW MILES**, Ash/Black w/Sport Leather-Trimmed Ultrasuede Seat Trim. 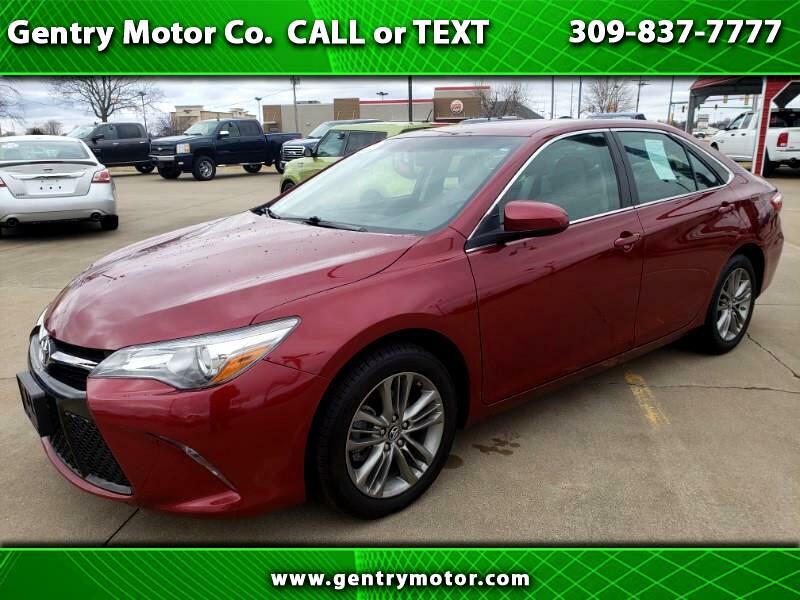 Red 2017 Toyota Camry CARFAX One-Owner. Clean CARFAX. Odometer is 22497 miles below market average! 24/33 City/Highway MPG Helping your Friends and Neighbors everyday Since 1989! Make YOUR Deal Today!! !